Calling all Astronomy Fans and aficionados! the Universe comes to London! 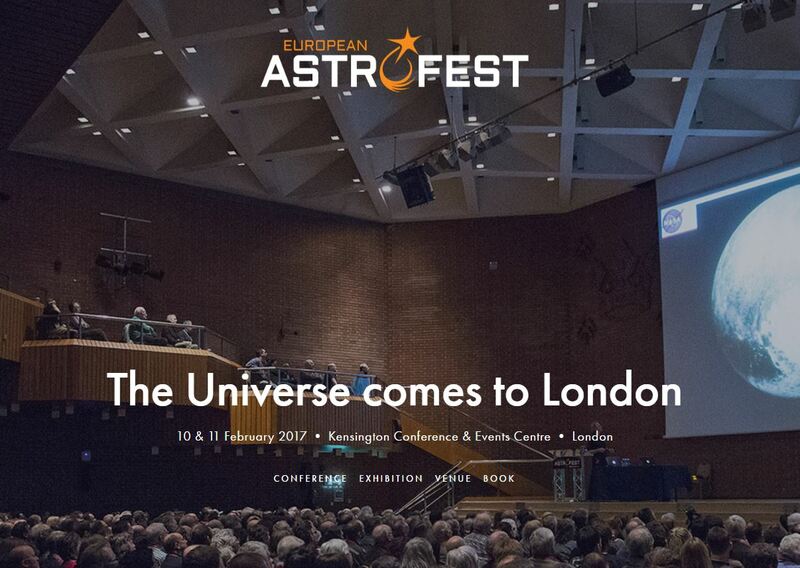 The European AstroFest 2017 will take place in Kensington, London on the 10th and 11th of February and Universe2go, as well as Astroshop and Omegon, will be there ready to discuss the cosmos with you and show you all the ways you can explore the heavens. We’ll be exhibiting several of our Omegon Pro telescopes and accessories, along with our awesome and innovative Universe2go augmented-reality star viewer! “European AstroFest is the world’s premier space conference and exhibition, bringing together the professional and amateur communities.” This year’s expo will feature experts discussing exciting space developments and exhibitors showing their gear, which you can use to observe the cosmos! Tickets start at £22.50 and more info can be found here.